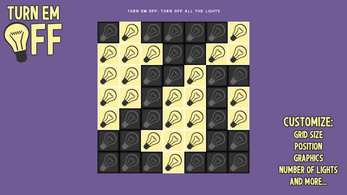 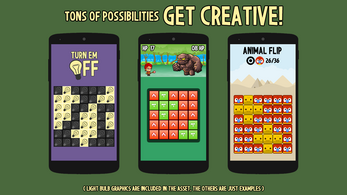 Turn Em Off is a simple engine for creating games where the user must flip all panels to become one color. 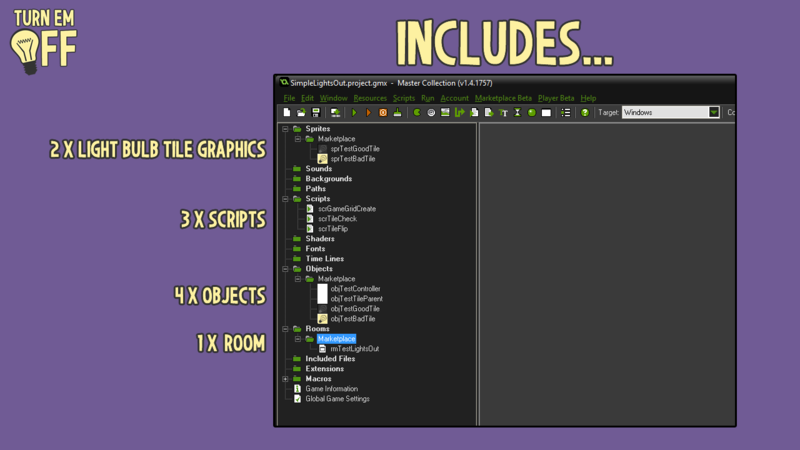 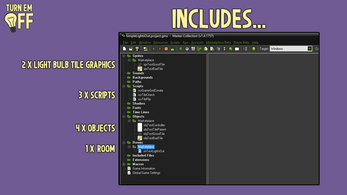 The main grid-setting game script allows you to customize grid size, cell size, position, graphics and more! In its most basic form the game is almost ready to go. 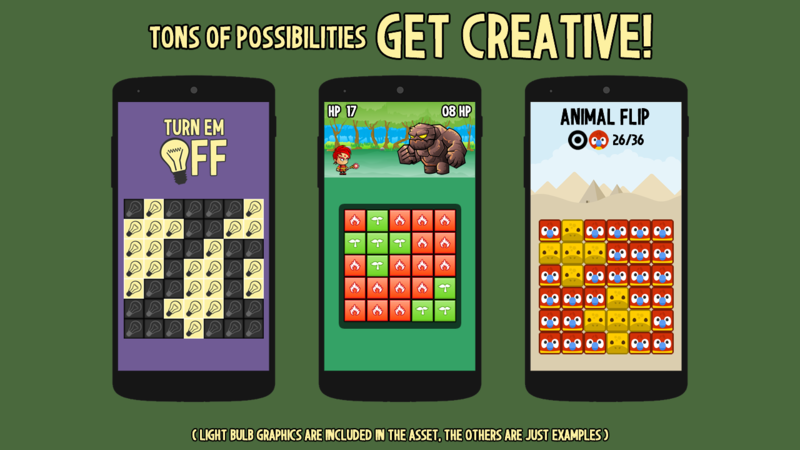 Just plug in your own branded user interface and some ads and you're ready to publish your game on Android, iPhone or Windows Phone.